Patients have been warned to be watchful of overcharging, after one man was wrongly billed €1,500 for a number of hospital stays. The man has received a €750 refund after bringing his case to the Ombudsman, Peter Tyndall. He was treated in two different public hospitals over the course of 12 months. But as a public patient, the maximum he should be required to pay at the time in a year was €750. This was based on a charge of €75 a night. Since then the nightly charge has increased to €80, a yearly cap of €800. The cap applies over a rolling 12-month period. The cost of a 10-night stay at the time he was in hospital was capped at €750. If he needed to spend longer in hospital, he should not have been levied with any additional charge. However, he was charged €750 by both hospitals where he was an inpatient. The case has led the HSE to now clarify the payments on its website. Patients have been urged also by the Ombudsman to hold on to receipts. The report from the Ombudsman's office said the man complained after he was charged €1,500 for a number of hospital stays. The man, who suffers from a severe kidney condition, was admitted to two different hospitals over 12 months. He spent a total of 30 nights in hospital. "However, this charge was capped at €750 in any 12-month period regardless of how many public hospitals a patient is admitted to, or the condition that requires treatment. "When the Ombudsman investigated the complaint, he was initially told by the HSE that the 12-month cap was in respect of each hospital and, therefore, the man was correctly charged €1,500. "However, when the Ombudsman brought the relevant legislation to the HSE's attention, it agreed to refund the excess charge to the man. "He spent nine nights in the first hospital and was correctly charged €675. "He then had to spend 20 nights in a second hospital. The second hospital charged him the capped fee of €750, but did not take account of the €675 the man had already paid the first hospital." The Ombudsman pointed out that there was no integrated payment system for managing hospital charges. Mr Tyndall said that as Ombudsman he was concerned that other patients could be similarly affected in the future. As a result, the HSE has published clearer guidelines on its website, along with advice on the importance of patients keeping receipts. It has also updated information notices in hospitals and asked hospital groups to do the same. 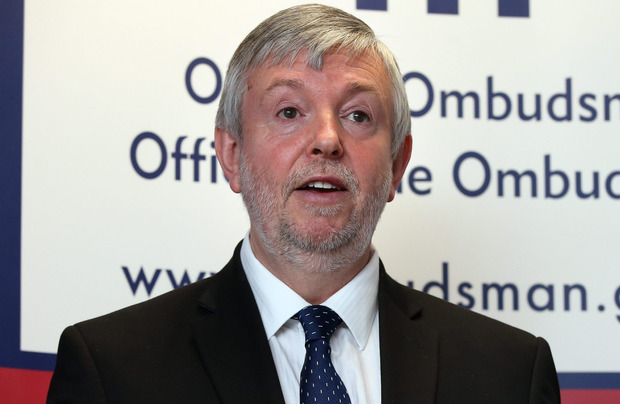 The Ombudsman will review the actions that have been taken by the HSE in the coming months. Many patients continue to be surprised when they are levied with the overnight public hospital charge of €80, wrongly believing that all care should be free. The charge covers all the treatment which a patient receives in hospital including the cost of scans, surgery or even radiotherapy. Hospitals are under pressure to pursue patients for outstanding charges and there has been criticism of the use of debt collectors. Patients who have queries on their hospital charge should contact the HSE by phone at: 041 6850300 or by email at: hselive@hse.ie.